Since quite a few days i had been toying around with the idea of making a male card. The immediate thought that came to my mind was using color blue. To confirm my thoughts i asked my bro that what colour does he like the best. He answered "Blue"!!! Then i asked him which shade of blue :turquoise, teal,navy,sky blue? I got the "Are u out of your mind?" look from him. And he replied " Blue is blue...the variations are illusions of female perception" I was shocked at his stupid comment. I got a little curious and thought of asking other guys. And all of them gave me more or less the same answer with the same look!!! I hope you guys like it too :) Please do leave back your precious comments. They mean alot to me.!!!! 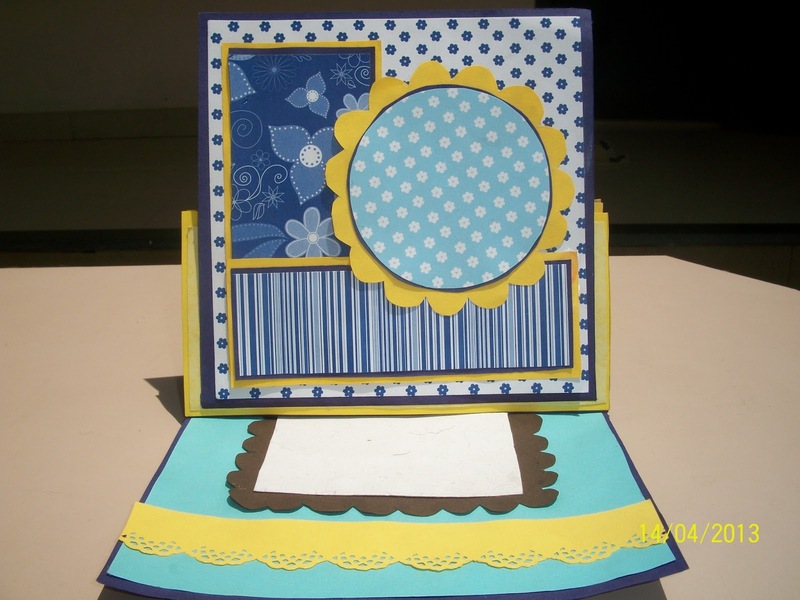 This is a great easel card, fab colour combination. Superb.... Happy folllowing ur blog.. Perfect card for a guy! Love the colors! I love the pop of yellow, very cute! What a fun card! Thanks for playing with us at PTT! Adorable! 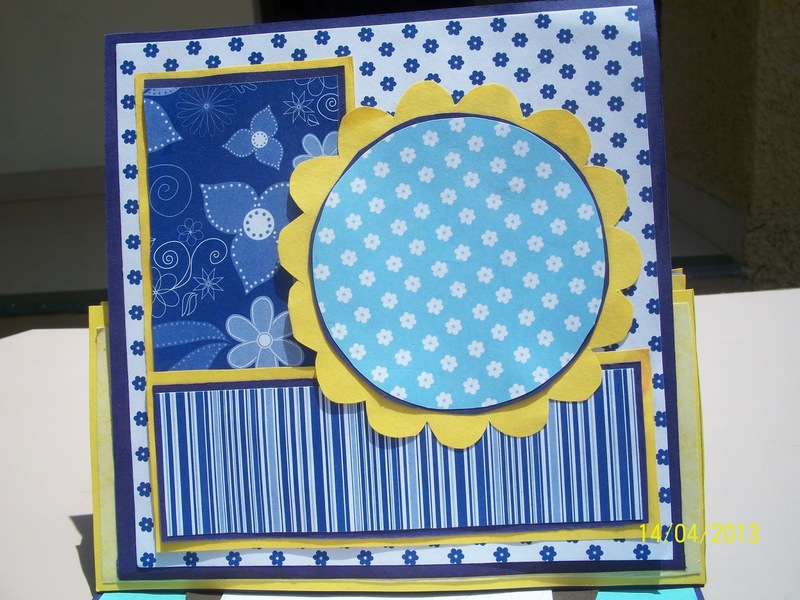 Thanks for playing along with Scribbles Designs Challenge. LOL that is too funny but true. Guys don't really care about the nuance of colors ;) Great card. oh I'm back with a different DT hat on to say how wonderful this card is. This is such a wonderful masculine card....you have used the colors beautifully and what lovely papers!!! Thanks for joining us for the color Throwdown Challenge!!! Thank u joan for such kind words! 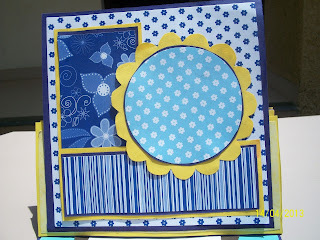 Wow, the guys in your life aren't very artistic.... :P Thanks for linking up at The Stamp Spot! Its definitely true that women see details while men see it overall! But no worries, us crafty ladies can see all the awesome shades! The yellow, white and brown compliments the blues well! Thanks so much for joining the Masculine Challenge at The Stamp Spot. I hope you can join our Feminine Challenge next month! Yess thats so true Emu....I will surely join the next challenge. Thank u so much!